He said that Ms Begum's comments had given his family hope about Ms Abase. 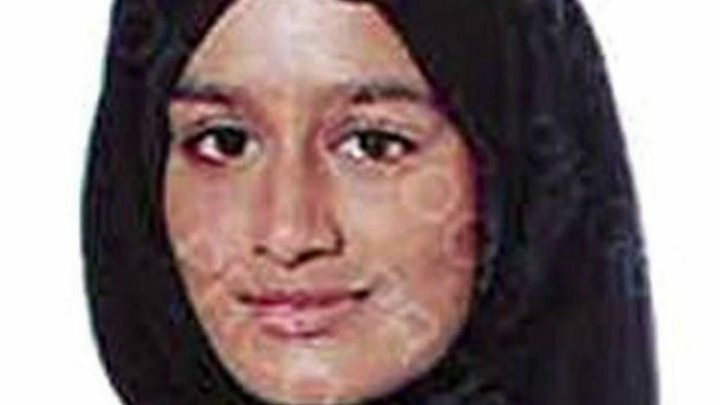 In her interview with the newspaper, Ms Begum, who married an IS fighter, showed little remorse for her involvement with the terror group, saying she was not fazed by seeing "beheaded heads" in bins. "I don't regret coming here," she told Times journalist Anthony Loyd, who found her in the camp. "The caliphate is over. There was so much oppression and corruption that I don't think they deserved victory," she said. "I just want to come home to have my child. I'll do anything required just to be able to come home and live quietly with my child." 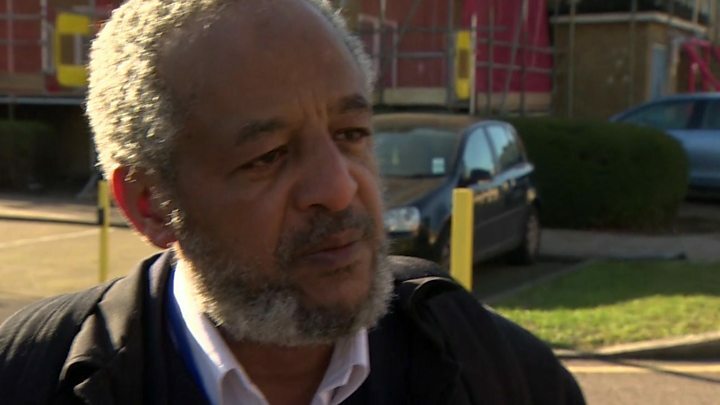 Earlier, security minister Ben Wallace told the BBC he would not risk any British officials' safety trying to bring back Ms Begum, who is currently in a refugee camp in northern Syria. "I'm not putting at risk British people's lives to go and look for terrorists or former terrorists in a failed state," he told the BBC. The Times interview "gives us some kind of positive hope for the family," he said. "We were just waiting for something to come out." Ten days later she married a 27-year-old Dutch man who had converted to Islam - and has been with him since then. The couple escaped from Baghuz - IS's last territory in eastern Syria - two weeks ago. Asked whether living in the one-time IS stronghold of Raqqa had lived up to her aspirations, Ms Begum said: "Yes, it did. "It was like a normal life. The life that they show on the propaganda videos - it's a normal life. And if she were still under 18 years old, the government would have a duty to take her and her unborn child's "best interests" into account in deciding what to do next. She said her school friend had died in a bombing on a house where there was "some secret stuff going on" underground. "I never thought it would happen. Because I always thought if we got killed, we'd get killed together," she added. A lawyer for Ms Sultana's family said in 2016 that she was believed to have been killed in a Russian air strike. Ms Begum said losing her two children came as a shock. "It just came out of nowhere, it was so hard." She said she was now "really overprotective" of her unborn child and was scared it would become ill if she stayed in the refugee camp. 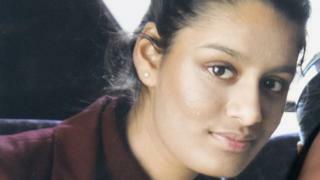 Her family back in the UK told lawyer Tasnime Akunjee they wanted "time and space to process what's happened". 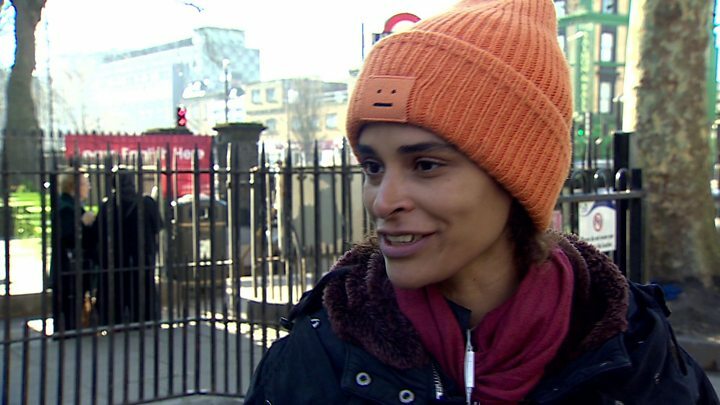 He said he thought it was unlikely she would be allowed to return quickly and expected that, if tried for any offences, she would be tried as an adult, he told BBC Radio 5 Live's Emma Barnett.